The Democratic Republic of Congo (known as the DRC) is a country of abundance in Africa that unfortunately has unstable political situation. Although foreign investment is highly welcomed, local representation is still preferred when navigating the system. The Democratic Republic of Congo, located in the heart of southern Africa, is the second largest sub-Saharan country and has remained unstable since its independence in 1960. Initial instability led to the rise of Mobutu Sese Seko who ruled and mismanaged the country until his death in 1997. As an outcome of Mobutu’s ruling, the DRC’s status continued to be politically unstable and resulted in war. This situation is generally thought to be connected to predatory mineral extraction. Despite the eastern border still suffering from militia attacks, the threat seems to be reducing and the DRC is now showing signs of progress highlighted by rapid economic growth. However, the DRC remains one of the poorest countries in the world per capita with a difficult business environment. The DRC’s GDP is estimated by the IMF to be 9% in 2015 and the GNI per capita was at US$380 in 2014 for a population of almost 75 million. Agriculture is the main employing sector and the economic growth of the country heavily relies on it, as well as on the export revenue from copper mining, other metals, oil, and diamonds, trade and construction and public works. The main sectors of the GDP are as follows: almost 40% is agriculture, forestry, fishing and hunting and 12% is mining and quarrying. 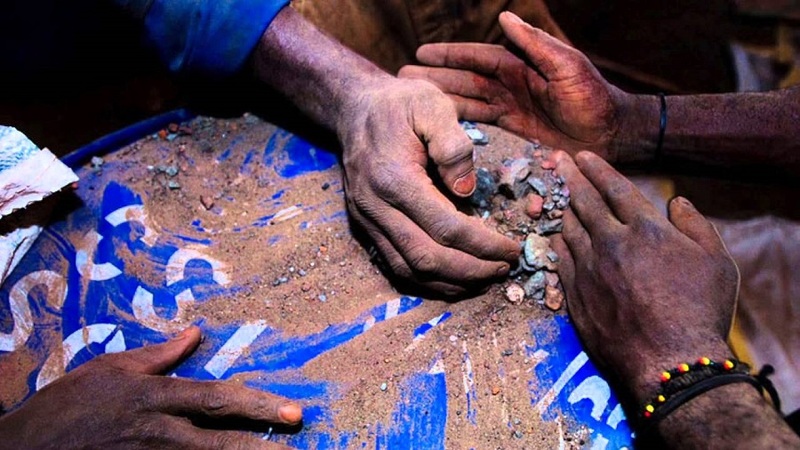 The DRC is incredibly mineral rich with estimated untapped resources in excess of $24 trillion. Foreign companies are often forced to build their own roads, power networks and provide security as the national infrastructure is in very poor condition. The Democratic Republic of Congo’s Ease of Doing Business Rank (EDBR) is 184 in the world and this poor rating is related to serious issues of corruption, government policy ineffectiveness, enforcing contracts and protection for investors. Although the Government has introduced the Lusaka Peace accords in 1999, war and political instability is still regarded as a constant threat. Further, the unemployment rate is at an estimated 45% with the younger generation being the most affected. Despite these factors, international organisations fund much of the health and education policies and foreign investors come into the country and benefit from the investment incentives provided by the government such as tax breaks and duty exemptions. Currently, the major investment sectors are transportation, chemical products, agriculture and mining. While the country has plenty of potential, doing business in Democratic Republic of Congo requires local knowledge to navigate through the processes and the government system. Contact Healy Consultants Group PLC to better understand the incorporation process and let us project manage your engagement. Image attribution: https://www.youtube.com/attribution?v=O5hgjdXxasE under Creative Commons Attribution license (reuse allowed). « Chad – Doing Business there.